Blend in the rest of the greens. Scrape down the sides of the bowl and add the rest of the basil. Blend until a uniform paste has formed. Scrape down the sides of the bowl as needed. Stream in the olive oil with the blender-running, stream in the olive oil. 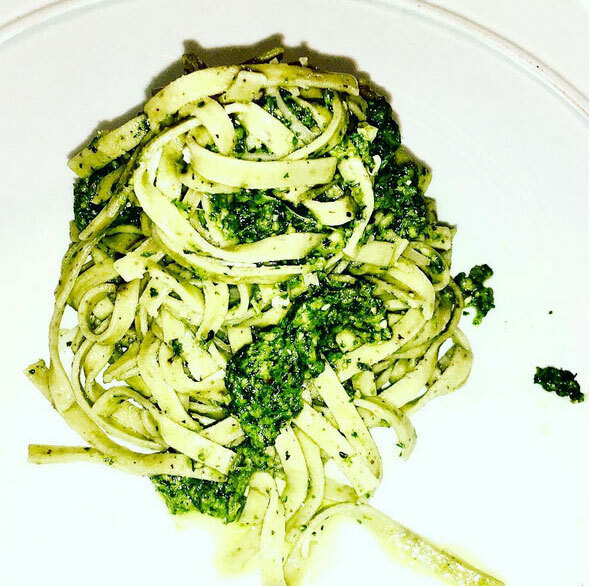 Scrape down the sides of the bowl and continue blending as needed until the olive oil is emulsified into the greens and the pesto looks uniform.